I bought this as a gift to my son and he absolutely loves it. He hasn't taken it off since he opened it. He layers his clothes (we live in snow) and this jacket works great as an outer layer. 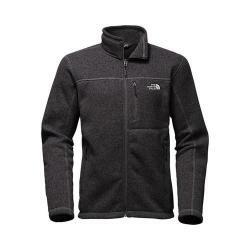 The jacket is soft, washes up nicely, and maintains its color and shape after repeated wear and washings. A lofty full-zip sweater fleece with a superior warmth-to-weight ratio for comfort built with travel-friendly touches for your next excursion. Underarm gussets at armpit increase range of motion overhead. Passport-compatible zip pocket at left chest. My son loves this jacket! He wears it ALL the time since he got it at Christmas! It’s extremely comfortable and warm! Currently there is only a size small in stock.